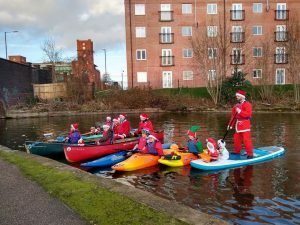 Good turn out of Santas for our paddle on Coventry Canal. 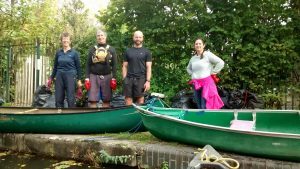 Mercia Canoe Club helped Plastic Patrol on Coventry Canal on Monday Aug 6. 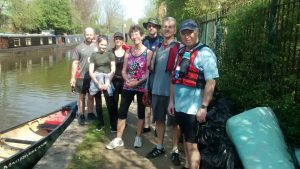 More plastic and rubbish taken out of the canal. 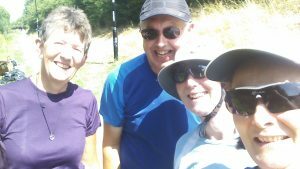 Together we covered 2.5 miles from the City Centre. 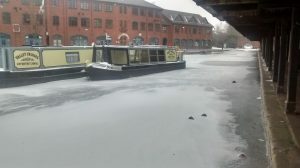 Thanks to Lizzie from www.plasticpatrol.co.uk and CRT for organising. 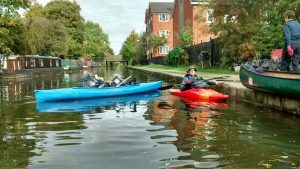 Monday August 6th from 9:30 a.m. there is a litter pick event starting from the canal basin. 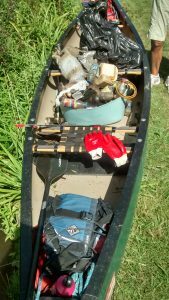 All you need to do is join Plastic Patrol in their efforts by collecting some of the rubbish you see along your way. Litter picker and refuse sacks will be supplied, and they’ll even dispose of the rubbish. 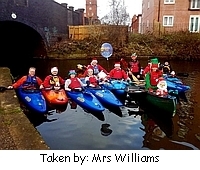 Canoes and kayaks available for Mercia Paddlers. You are better off drinking tea today. 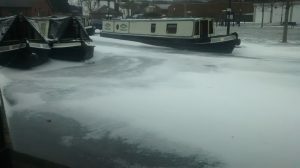 Only a week ago I saw the swans starting nest building on the canal. 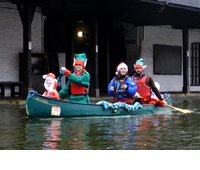 Dressing up for our Christmas paddle proved very popular. 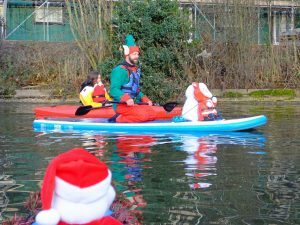 Saturday Dec 23 at the club – dress up, decorate your boat, go for a paddle. 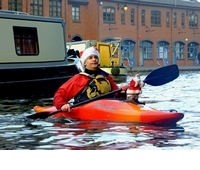 Bring and share some snacks for a post paddle buffet. 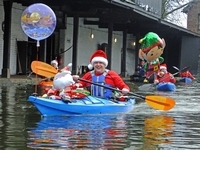 Pictures from 2016. 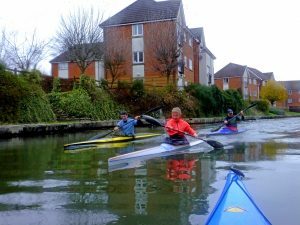 The Winter club challenge has started. 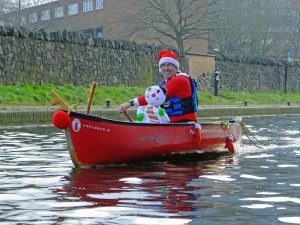 How many miles can you paddle this winter? Add your miles to our club chart. 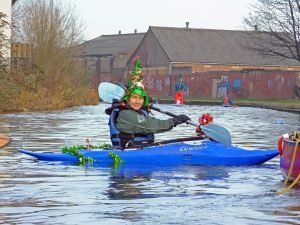 In the picture Jess, Mike and Nigel have just over 4 miles to go on their way back from Hawkesbury Junction. This one is even older from 1949. 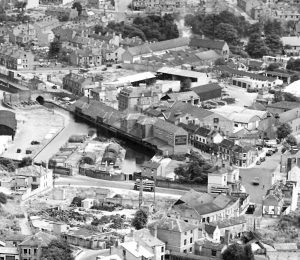 Note the buses travelling in pairs, even then. 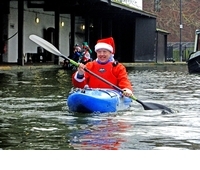 We wondered where the picture was taken from? 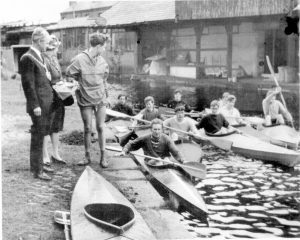 Thanks to Bob Nash for supplying this picture of paddlers meeting the Lord Mayor in 1962, at the basin.